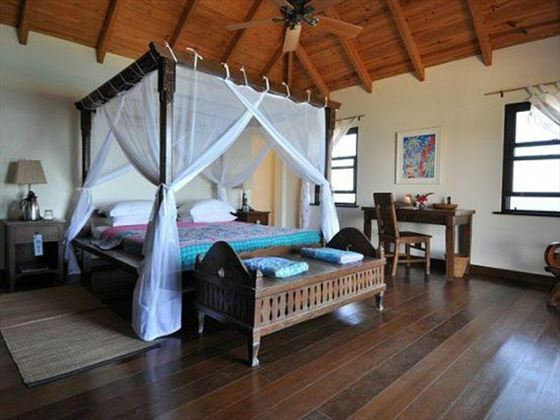 This is a beautiful four bedroom villa, and has been beautifully designed to a very high standard, with many Balinese features incorporated into the Caribbean style. 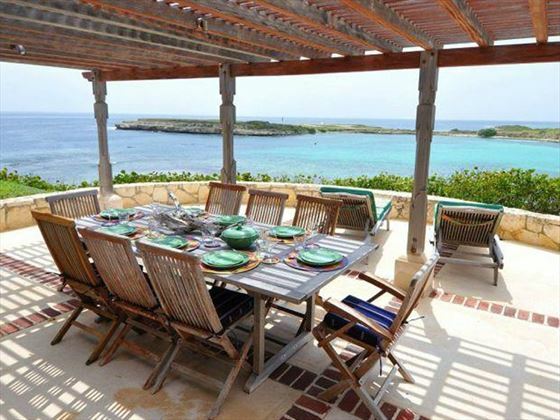 The living and dining areas are open and spacious, designed to take advantage of the sea breezes. 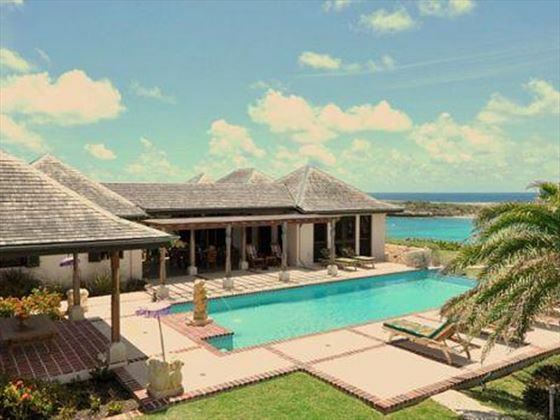 The inside merges into the outside, with a large pergola covered terrace, perfect for relaxing in the shade during the heat of the day. 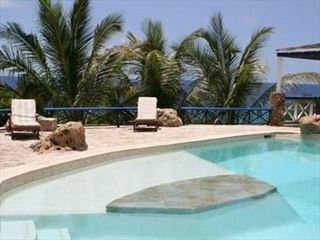 The villa is in a private location on the edge of a promontory, offering views across Dian Bay and the national park. 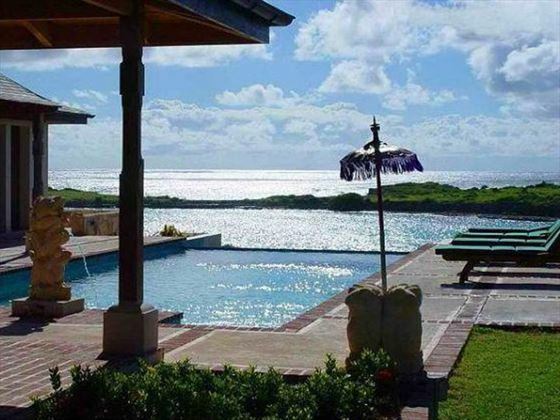 The lovely pool has an infinity edge merging into the background, and you will be able to enjoy the spectacular views whilst cooling off in the water. 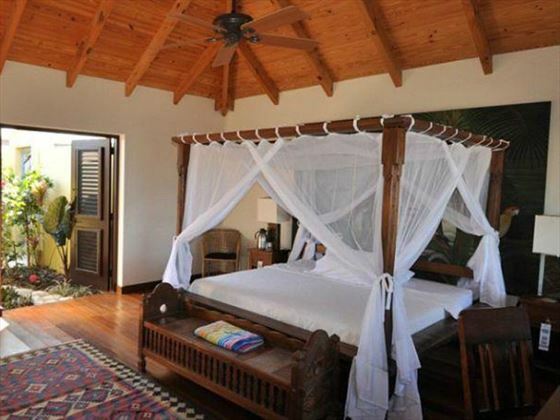 Car hire is highly recommended: Private taxi transfers are included in the price of all of our villa holidays to ensure you have an easy and stress-free journey to and from the airport with your luggage. 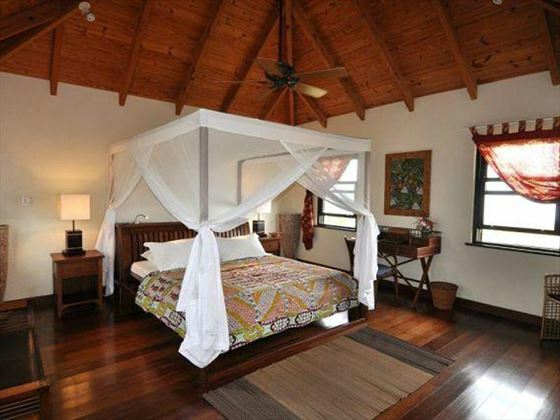 The car will be delivered to your villa, and you can then use the car for exploring the local area. We can arrange your car hire from £250 per week for a small air-conditioned car, or you can upgrade to a jeep or a minivan. 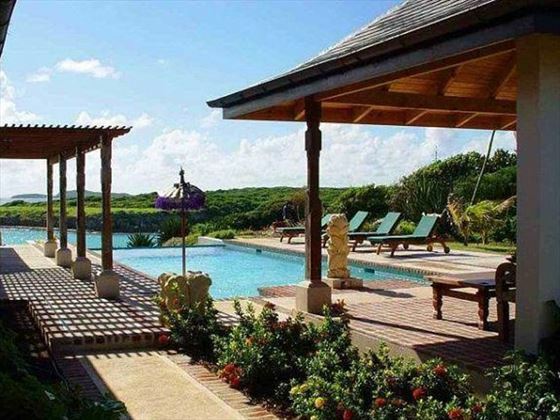 This lovely villa is located on the East coast of Antigua, perched on the Dumm’s Point promontory with beautiful views across Dian Bay. There's a local shop just a short drive away, or you can drive an extra 20 minutes to reach a handful of restaurants and a supermarket. 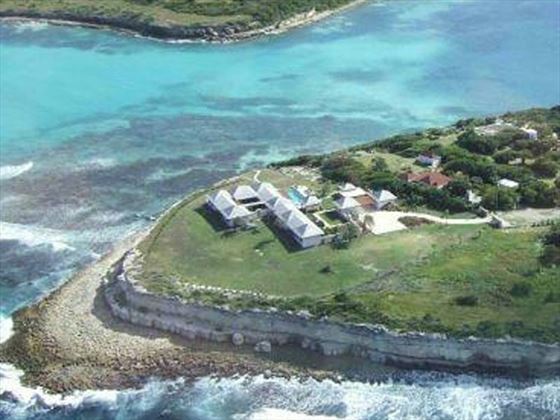 You'll also only be a 30-minute drive to English Harbour, which is a must-see in Antigua. 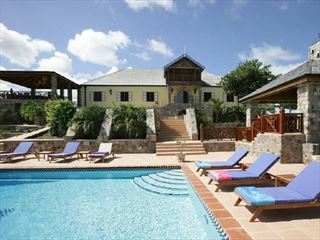 A stylish five bedroom villa accommodating up to nine people, located in an exclusive gated community in Galley Bay Antigua. 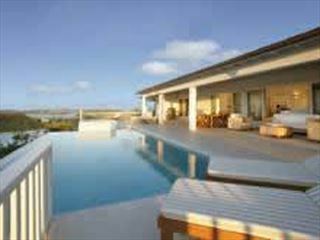 There is a large terrace with infinity pool and Jacuzzi, where you can enjoy stunning views of the Caribbean. 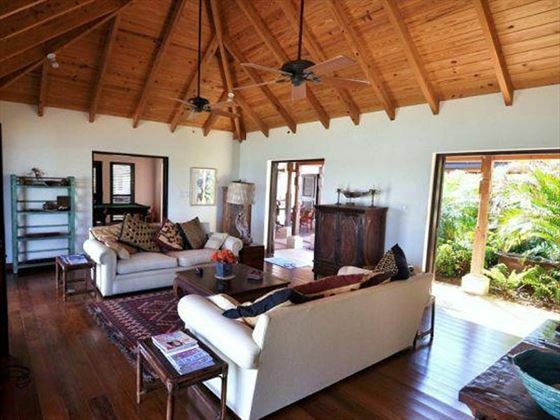 Enjoy 360 degree views over Falmouth Harbour in this beautiful five bedroom villa in Antigua. 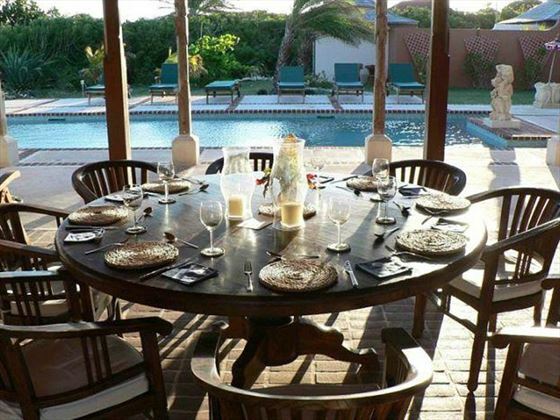 With a 50 foot private swimming pool and a short walk to the beach, this is a fabulous place for a family holiday or group of friends. 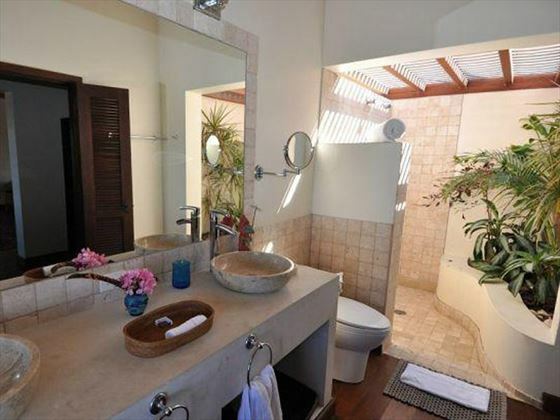 Set in an elevated position offering panoramic views but still just a short walk to the beach, this lovely five bedroom villa with private pool is located in the south of Antigua a few minutes drive from English Harbour.